Single Moms need easy. Single Moms need fast. Single Moms need to save money. 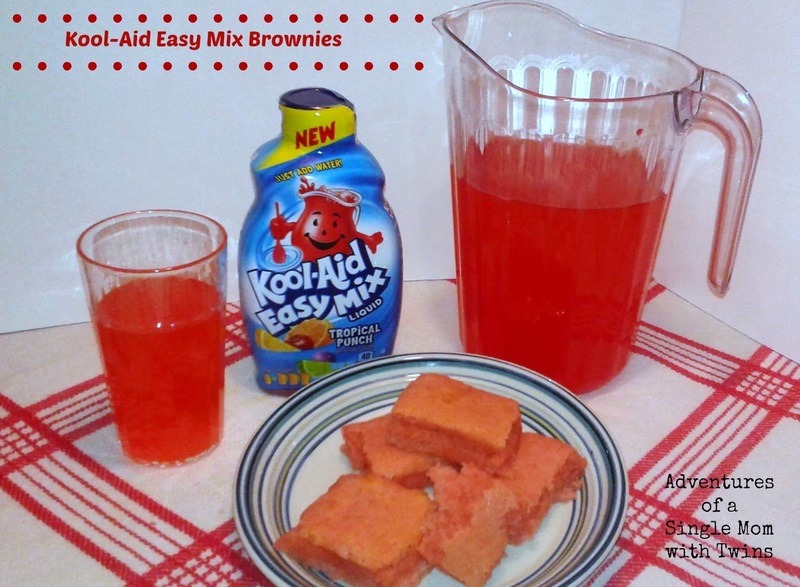 Kool-Aid Easy Mix takes care of all three. All you do is Just Add Water. 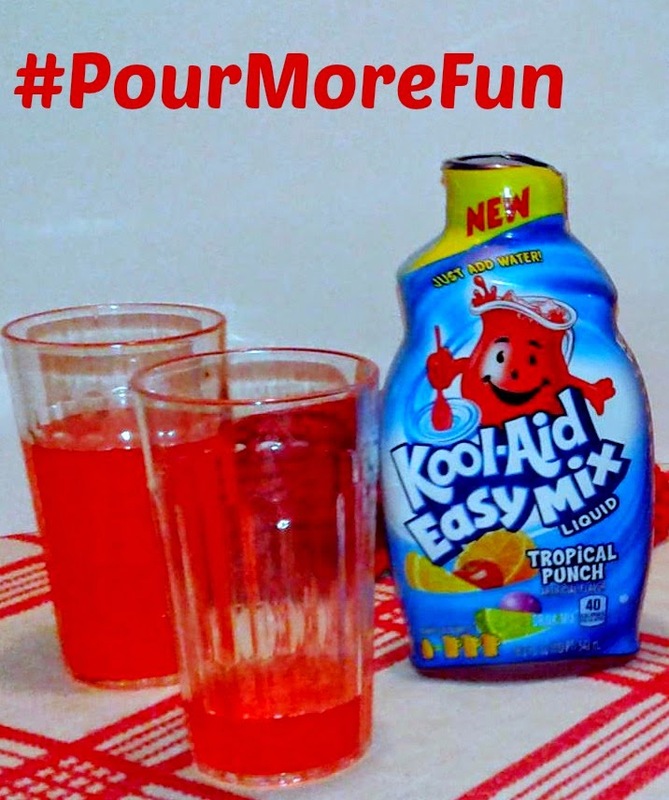 You can easily #PourMoreFun by the glass or the pitcher. 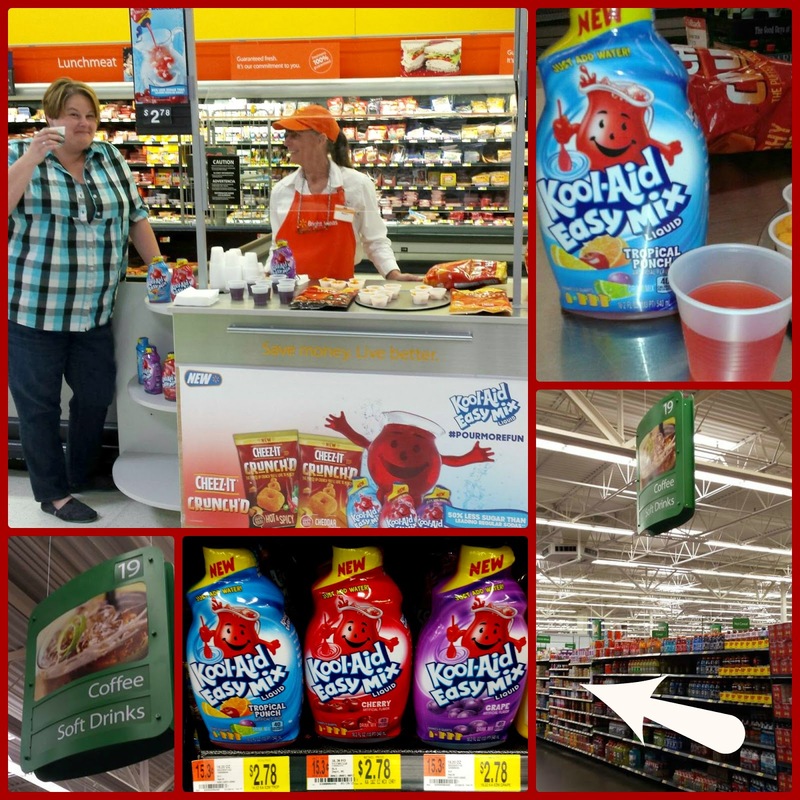 For under $3 you can bring home a bottle of either Tropical Punch, Grape or Cherry flavors for the whole family to enjoy. As always, the boys and I were in our local Wal-Mart store to grab groceries. We came across a demo with free samples. (Who doesn't love FREE?) Drinking the Grape Kool-Aid Easy Mix reminded me of summers as a kid. After playing outside, we would run inside for a drink; my mom would always have a pitcher ready for us to drink. I walked down to the soft drink aisle and easily found all three flavors to take home. Since I have so much extra time on my hands, I decided to play with some recipes. My first attempt was Tropical Punch Fudge. 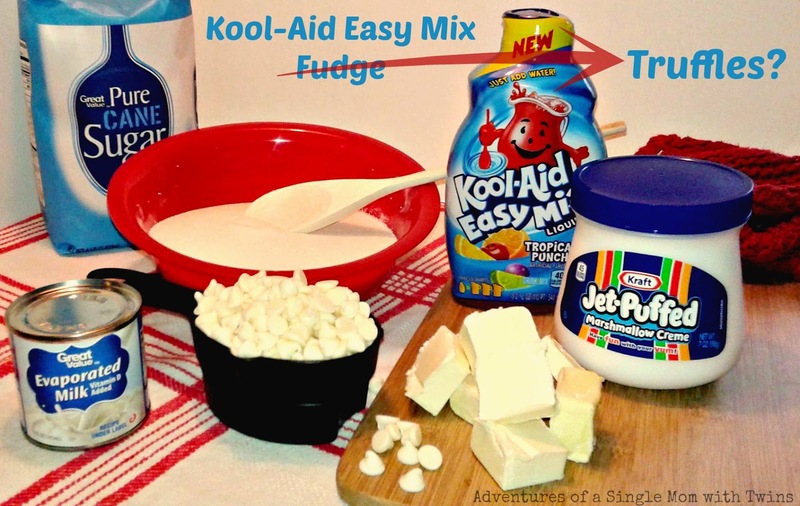 I tweaked a recipe I found on the back of the Kraft Jet-Puffed Marshmallow Creme. Sadly, adding the extra liquid kept the fudge from setting so I will be updating this recipe. I wasn't going to include it but now we can all learn from my mistake. UPDATE: I can't do anything with the "fudge" so far. It is way too soft for truffles. I was going to stir in extra powdered sugar to thicken it up but I am out of powdered sugar. I used some as icing on my flat cookies and it makes them pretty. I currently have a pan in the freezer so maybe I can salvage some bark candy out of it. My second recipe was for cookies. They weren't a fail but they were flat. Living at an elevation of 7000 tends to make it harder for me to bake. I wouldn't give up though and I used the rest of the mixture to make brownies! If you try it out, please comment and let me know what you think. For more recipes and Kraft savings check out the Kitchen Hackers.